I spotted this church from my 48th fl. hotel room, so I took a walk and found it just a couple blocks from Times Square. The front door was propped open, with people sitting inside. Times Square was packed with people, of course. I discovered something interesting during the ride from the airport. People were practically sprinting out of office buildings and heading right down the middle of the streets. Not on the sidewalks, but right smack in the streets. I asked the driver if that was always the pattern and he said yes, that people will do anything and everything to make their way quickly to the trains. Traffic just comes to a halt when this sea of humanity starts moving. What a nice, quiet resting place for many people in my family. Even with all my Terre Haute adventures, I had somehow missed the Clabber Girl Museum at Hulman & Company until this weekend. I've passed by the big Hulman building a million times and my grandfather, Bob Arnett, worked there back in the 1930s or '40s. I didn't step foot in the place until yesterday while we were visiting a downtown festival. I looked for my grandpa's face in the handful of company picnic photos on display, but couldn't find him. Pictured above is an old-time kitchen from the 1940s. No dishwashers or microwaves. No doubt ... pretty hard work for the ladies back then. Many decades ago, The Beatles came along and changed the lives of the Baby Boomer generation. I was there and lived it up close and personal. That's why it was such a thrill to participate in a performance of Love, the Cirque de Soleil show at The Mirage in Las Vegas. I say "participate" because this is a show where we didn't just sit there. We sang, we swayed, we dove under the white parachute. We had an unbelievably great time and the experience was just beyond description. One of the dramatic, beautiful pieces in the John and Mabel Ringling Museum of Art in Sarasota. Imagine traveling all over Europe to purchase beautiful, ancient, rare and expensive art to ship home to your own museum. Back in the day, the circus wagons rolled cross-country to bring entertainment to the people. Relics of that era are on display at the John and Mabel Ringling estate in a number of museum buildings. Above is a beast from the bottom of a wagon that transported caged animals. Imagine going to work every day to be shot out of this cannon. See Mike in the background checking out an elaborate wagon. 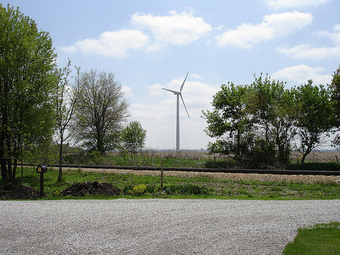 Prairie farm life takes on dramatic new meaning in Earl Park, Indiana, home of the Benton County Wind Farm. I've passed this fascinating project a couple times this year, so during last week's road trip to Terre Haute, I pulled over for a closer view of the towering crop of turbines next to the highway. 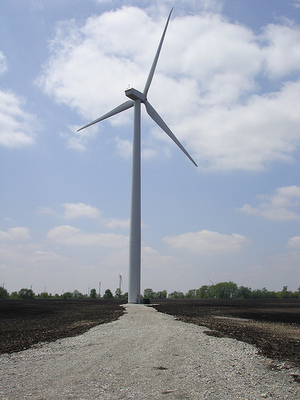 Around 90 Gen4 GE 1.5mw wind turbines generate earth friendly power, sold to local utility companies in an attempt to lower energy costs and reduce greenhouse gas emissions. Wish I could put one in my backyard. The enormous components for this project are brought to the job sites on special trucks with escorts. 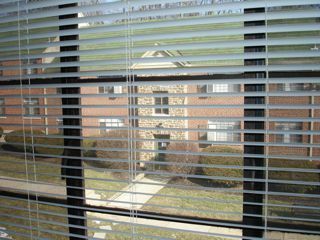 Commercial operation in Earl Park just got underway in April of this year, so this is a new project with lots of promise. The wind farm was designed and built by Orion Energy. 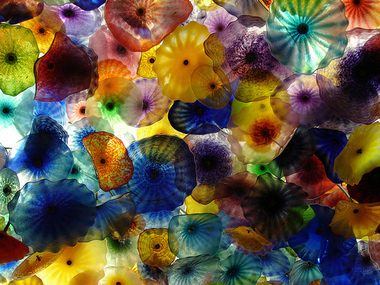 I snapped the ceiling of the Bellagio in Las Vegas, featuring some 2,000 hand-blown glass elements. Gotta love that Dale Chihuly. First stop was Terre Haute, IN. 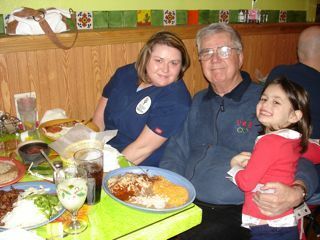 Being the nice person that she is, Sue subbed for a fellow teacher on Valentine's Day evening, so we were forced to dine without her at the Real Hacienda on Wabash Av. 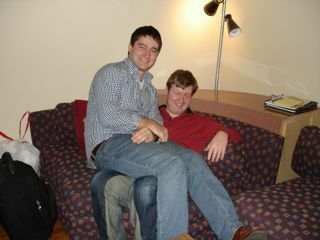 Just two brothers enjoying each other's company ... at Jay's place in Cincinnati. 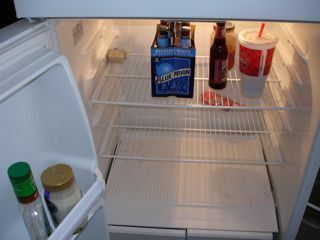 Looks like Jay does not do much eating at home. 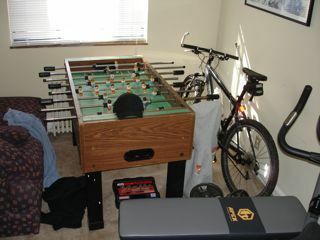 Serious computing in the living room. View from Jay's living room window. Way out in the country you will find Tranquility Pike. An actual road, it intersects the Southern Ohio Appalachian Highway just outside Athens and (for real!) a town called Coolville. But more importantly, Tranquility Pike is a state of mind. I gave my son Jay a goodbye squeeze outside Ohio U’s Wray House, jumped in the car and steered onto the Appalachian Highway. This was in May, a couple years ago. 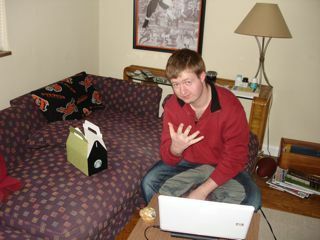 My drive would lead to Cincinnati for a visit with my eldest son, Rory. For fun, I found the campus radio station on the dial. Did the DJ know I needed a good soundtrack for this drive? He must have reached into some dank corner of my mind because he threw on Highway 61 Revisited. And he played the whole album! With Bob Dylan along for the ride, scenic barns, farms and foothills whizzed past while I enjoyed my Perk’s latte. Rustic farmhouses. Hawks glaring from telephone poles. I was the only car on the road for most of the journey … a real treat since my everyday driving is in Chicago. Glorious solitude. 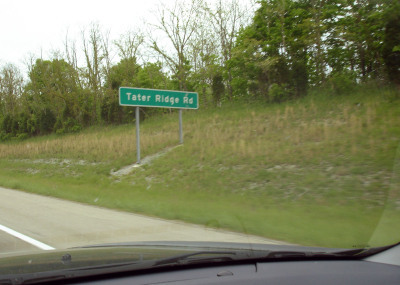 I could have named this blog after another street I encountered that morning … Tater Ridge Rd. 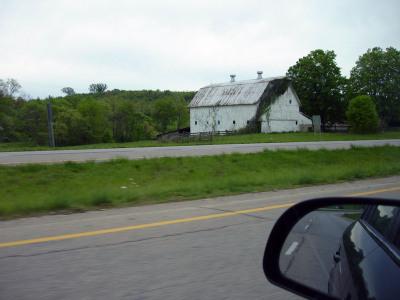 Or one I whizzed past a few years ago along upper Ohio's I-80, called Fangboner Rd. Tranquility Pike. I don’t live there, but I know how it feels.